I’ve legitimately been trying to get to Tayrona National Park for about 10 years. On my first ever backpacking journey, I ran out of money and couldn’t get down to Colombia. 5 years later when I lived in Medellin, I kept planning on making trips down to the coast and into the park, but something always came up. This time, I was in Santa Marta and the same thing started happening again. Every time I was ready to leave for the park, something came up. It started to feel like I wasn’t supposed to ever see Tayrona National Park. However, just I was sure that I wasn’t going to get to go, things flipped and I darted off for 3 days in coastal Colombia’s jewel. Now, my goal for the park was 2-fold. Firstly, I wanted to relax. I had been working so hard, that a beach and a hammock with a view seemed like the perfect remedy. And, secondly, I really wanted to shoot some photography as I have been in Colombia for 3 weeks and haven’t taken the camera out of the bag hardly at all. 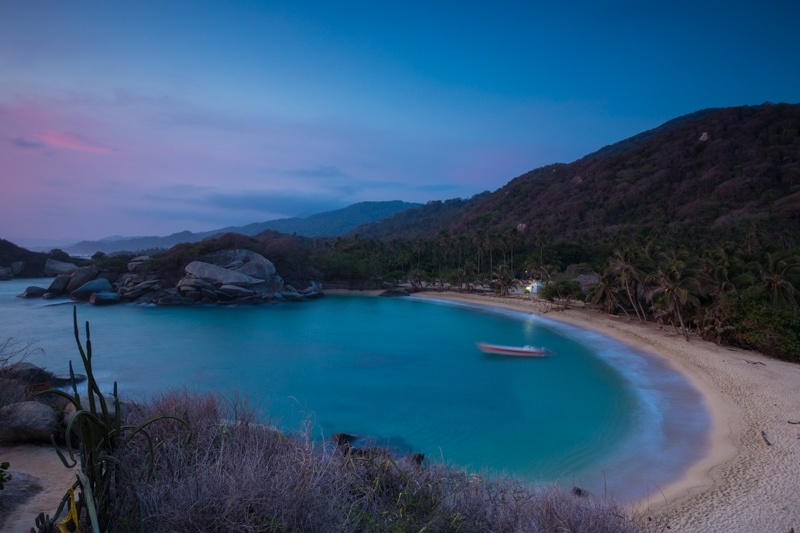 And thus, this is my quick guide to Tayrona National Park; or at least what I discovered of it. If you’re heading to the park via Santa Marta, it’s best to spend the night in town and leaving early. I highly recommend The Dreamer Hostel. I stayed there a lot in Santa Marta and actually think it might be the best hostel in Colombia. Beyond that, from a perspective of getting to the park, they are close to the main road where the bus to the park passes. From Santa Marta to the park entrance, it’s about 30-40 minutes. It is possible to take a taxi, and if you’re 4 people and can share it might be a decent option. A taxi to the park entrance costs about 80,000 Colombian Pesos (28usd). The alternative method of getting to the park is via a boat from Taganga. The village of Taganga is a quick taxi ride from Santa Marta. 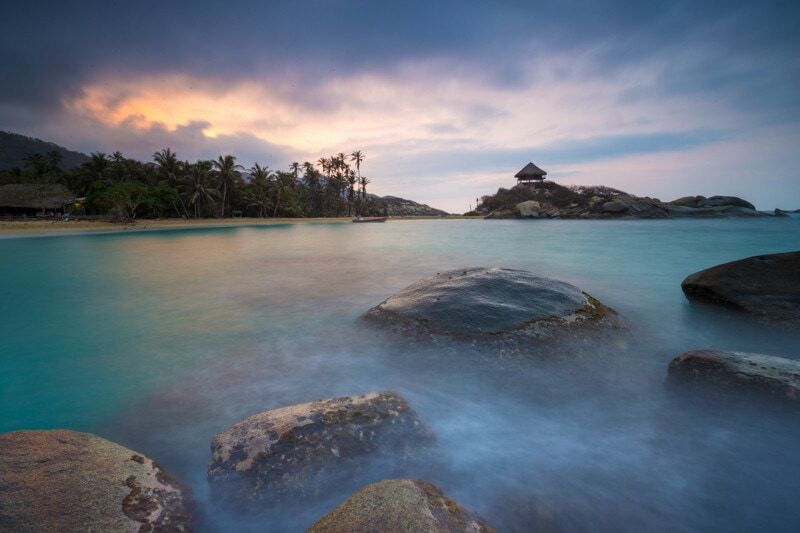 From the village, there is a daily speed boat that goes to Tayrona National Park. It drops people off at Cabo San Lucas which is the most popular place in the park to stay. Once you get to the park entrance, you’ve got some work to get to get to Cabo San Lucas. But, you do have some options. The first thing, however, you’ll want to do is catch the van that goes from the park entrance to the start of the trails. You can save money by hiking these 2km, but there’s not much point as the road is fairly boring. Once you get to where the bus drops you off, you have two options of getting to the beaches. The first is by hiking. The trail is quite beautiful and takes you over some small hills and through a mix of jungle and desert. 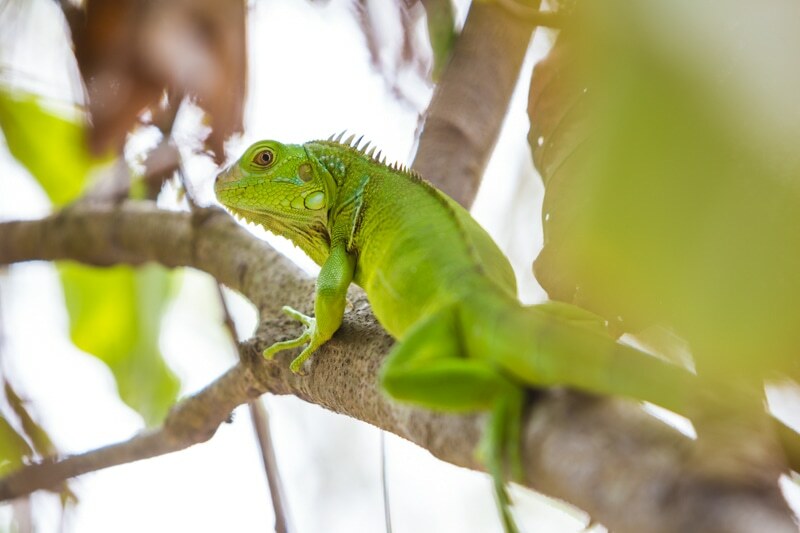 There are usually birds, monkeys, iguanas, and loads of lizards along the way. It is a tough hike though, not because of climbs but because it’s hot. It took me about an hour and a half to get to Cabo San Lucas, but I was moving pretty quickly. I’d say bank on 2 hours. Especially if you want to stop at some of the beaches along the way. If you’re hiking, you’ll pass a couple beaches, a couple of them you’re allowed to swim in. The most beautiful is called “La Piscina”. The other option for getting to Cabo San Lucas is to take a horse. The horse costs 25,000 pesos and only takes an hour. The problem is that you wont be able to stop and see the wildlife if you do this. The benefit, obviously, is that it’s much faster and easier. You can definitely do day hikes from Cabo San Lucas once you get there to search for wildlife. 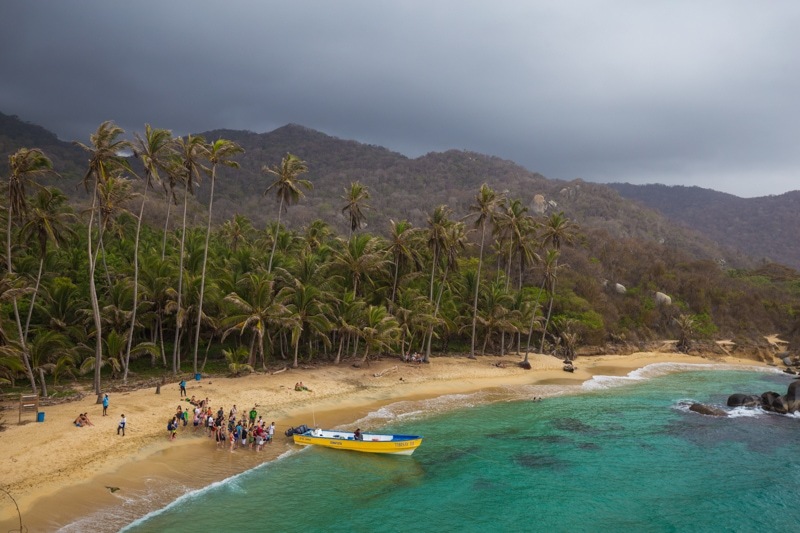 As mentioned earlier, you can get into Tayrona National Park from Taganga via boat as well. A beautiful green Iguana I saw on the hike in. 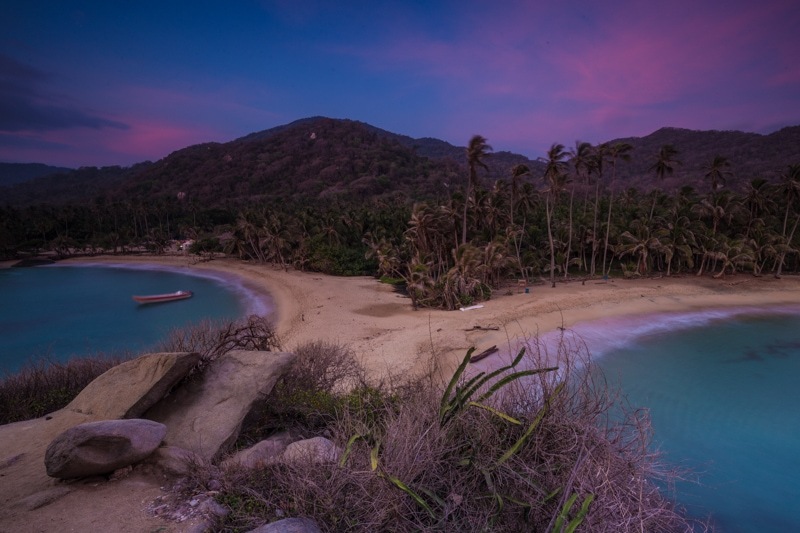 There are a number of accommodation options in Tayrona National Park, ranging pretty much any budget. Essentially, though, there are 4 options at Cabo San Lucas. Normal Hammock: The normal hammocks are down on the beach in a hut. They can get crowded, and a bit stuffy. But, they’re not so bad. Hammock on the Point: You can also pay a little bit more and get a hammock up on the point which is stunning. That’s where I stayed. The catch is that there are only 20 spaces. The check-in for the hammocks starts at 1pm, so get in line early if you want one of the available spots. Also, if you get into the park early or missed out on getting one the night before, it’s worth asking the guy at the check-in window if he can save you one. Camping: You can either rent a tent or bring your own. Personally, I think it’s got to be the worst option. The tents are out in the open away from the shade and I imagine they get extremely hot. Bungalows: There are a number of bungalows at Cabo San Lucas. There are a couple out on the point above the hammocks, and there are others near the tent area. They are fairly costly, but a good option if you want something a little more comfortable in the park. Loved the seascapes here. The straw hut on the rocky point is where I stayed in the hammock. I was told over and over again about how expensive things were inside Tayrona National Park. In fact, I was so worried about it I packed 5 liters of water, and enough food to get me through the 3 days if I needed to. However, when I got into Cabo San Lucas I was first surprised at the prices and then angry I packed in so much unnecessary weight. Yes, water is a bit expensive, but certainly not unreasonable. It was 2,000 pesos (80 cents) a bottle. Beers were 5,000 pesos. The restaurant was also fantastic, and considering the portion sizes I didn’t think it was expensive at all, actually. Most meals were about 10,000 pesos. They had chicken, fish, and pasta dishes. There was really no need to pack in food. Although, I’m glad I packed some snacks. The view back at the hills from the hammock hut on the rocky point. 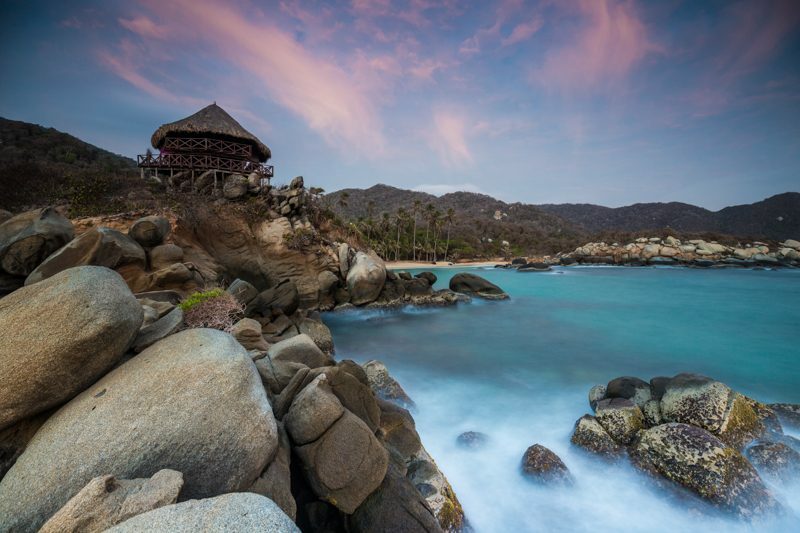 Aside from the obvious food, water, and clothing here are some things you’ll want to bring into Tayrona National Park. The first sunset in the park. Not bad. 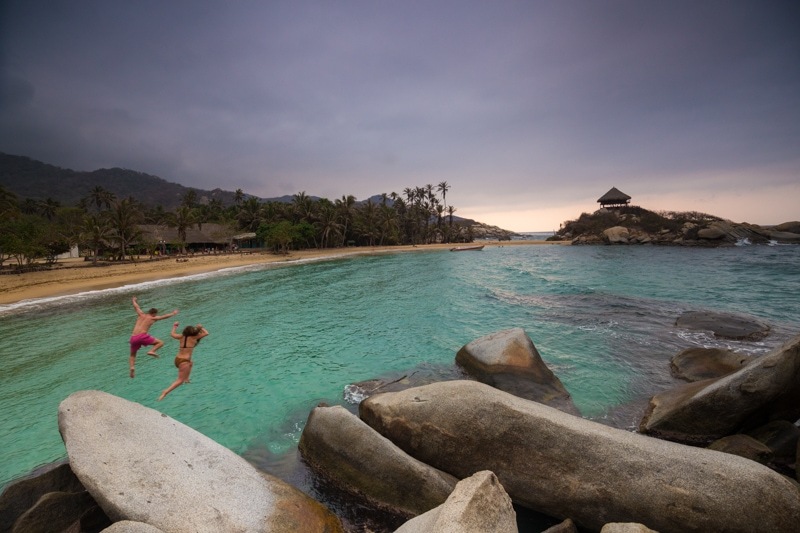 Tayrona was also a great place to meet people. 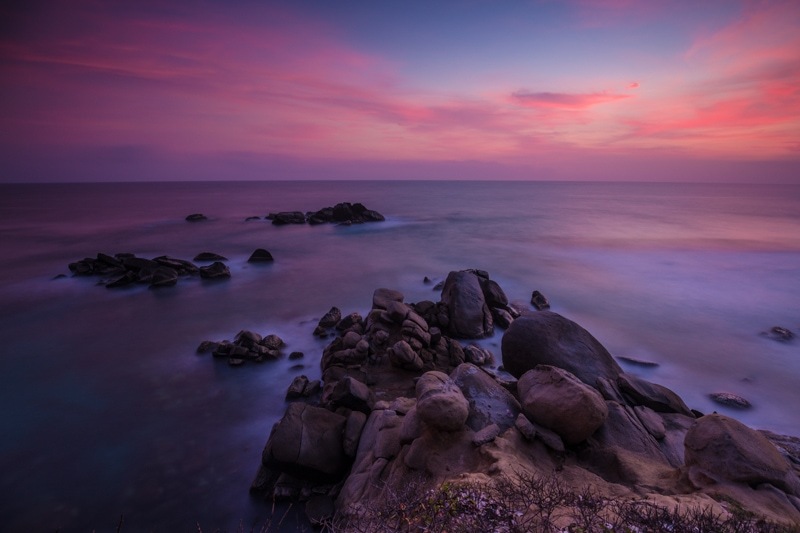 I’ve shared some images throughout this article, but here are a couple more photos from Tayrona National Park. It is such a photogenic place. In just 3 days, I got a pretty nice set of photos; especially considering that the weather wasn’t perfect for photography. Last sunrise. Such a photogenic place. An iguana hanging out near the hammocks. Super long exposure before dawn. I’m back from Cuba, actually. I had an amazing time. I started with Intrepid Travel and spent a week exploring the west of the island. Then, I went off on my own for a couple weeks in the center of Cuba. I’ve got a lot of content from there. 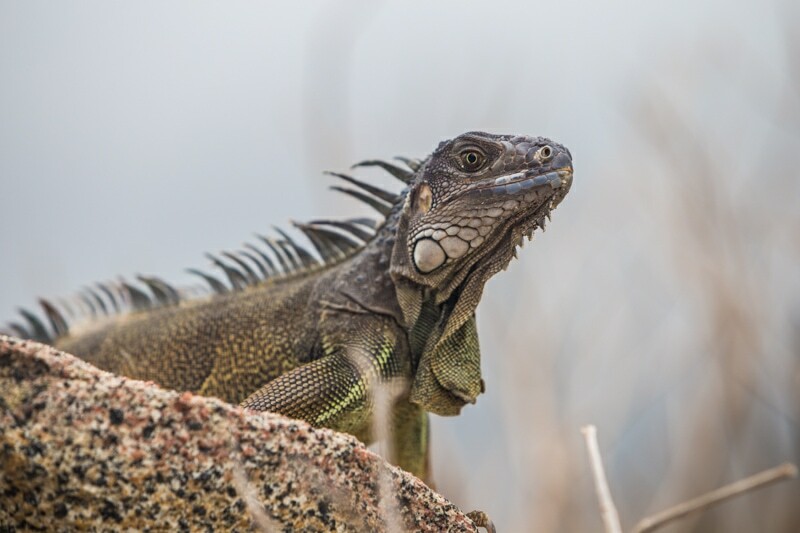 I’ve also got a review of that Canon 100-400mm lens I used and loved in the Galapagos Islands. So, lots of fun still to come! Next ArticleWelcome to Havana, Cuba! Being cheeky I have downloaded the one i want and put it on this post: http://www.bestofsantamarta.com/tayrona-national-park-colombia/ with a credit and link back to this page on your site. Please let me know if this is ok and obviously if not I will remove it straight away. Hi, returning from a recent trip to Tayrona. We hiked in and took the boat to Taganga on the way out. Please please get off the boat if they overload it. We had life vests but the ride was horrendous (several comments if we were even to survive). We were expecting a choppy ride but they overloaded the boat with double the amount of people there should have been and as a result there were several occasions the boat was likely to tip. On top of that the motor stopped running and we were stuck for a while whilst they changed it over. I’m sure sometimes its fine but if you’re on the last boat and they keep piling people on please get off and just sleep on the beach for a night!